Choosing the perfect wedding favor can be a scary thought, especially when you’re catering to both the bride and her guests. Wedding favors are a traditional gesture that show appreciation for attendance, and should always remain within the realm of your budget, theme, and taste. Our comprehensive guide will help you select the right favors for your big day, and ensure that anyone can enjoy before, during, and even after the celebration. Here are four different ways to pick momentous wedding favors! Forget Me Not Wooden Cube Blossom Kits bring beauty and nature together all at once. 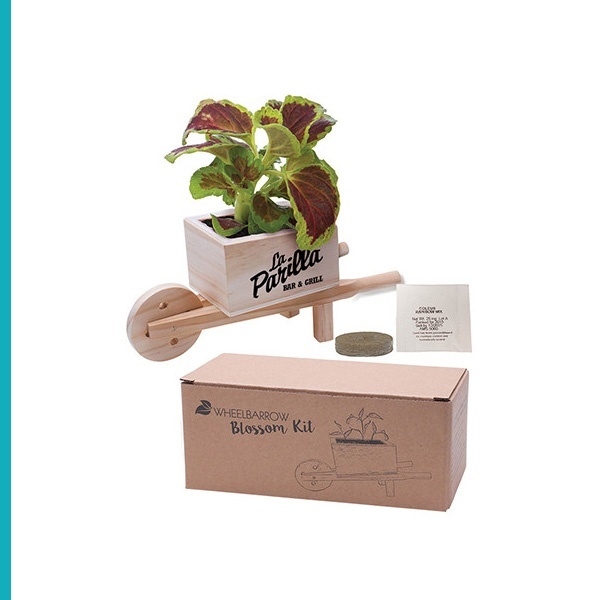 This adorable kit includes all the essentials your guests will need to begin their own garden. Crafted of wood, this item is the paragon of all rustic party favors, and can be personalized with special messaging to honor the bride and groom. 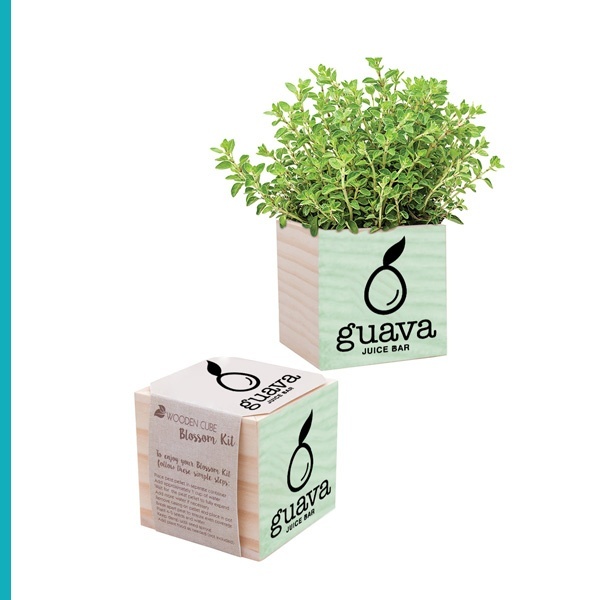 Parsley Natural Pine Wooden Cube Blossom Kits are inspiring party favors for the bride and groom who have a green thumb. Delightfully packaged in a cube-shaped box, these growing kits make another fantastically rustic themed wedding accessory. Your friends and family will be so excited to go home and watch their little plants blossom. Wood Bullware Bottle Openers makes a sweet impression on your guests while paying tribute to your rustic themed celebration. Customize them with a message that honors the bride and groom! 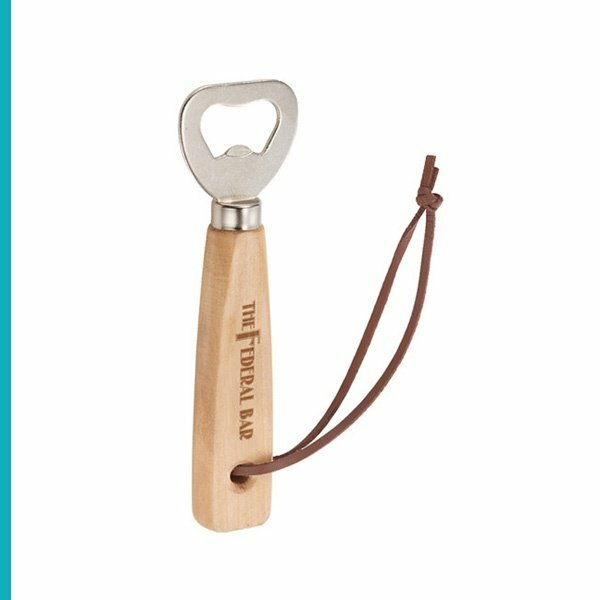 These wooden bottle openers are the perfect asset for your outdoors-themed celebration. Perhaps your wedding falls on the Fourth of July, or you’re simply just a fan of the U.S.A. Either way, we have excellent party favors to complement this unique wedding theme. You can decorate your venue in red, white and blue, and don’t stop synchronizing the colors when it comes to the party favors! The options are truly endless when you shop with Discount Mugs, because almost all of our products are available in the patriotic hues. Send your guests home with a favor that will memorialize the special day while celebrating America! 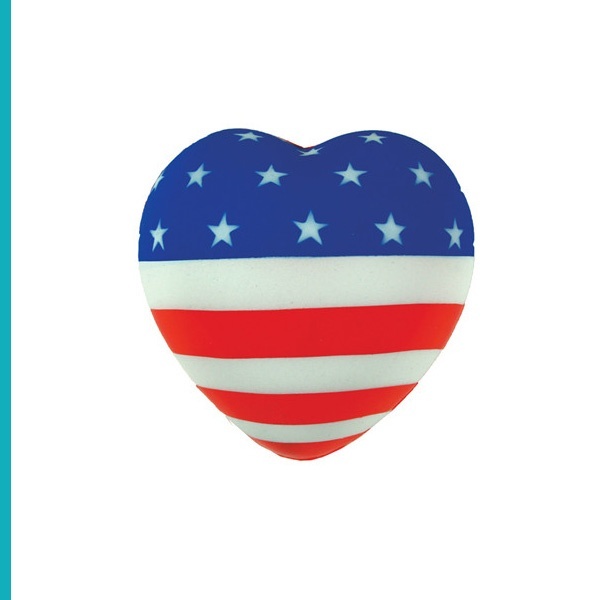 American Flag Stress Balls are one of our most inexpensive wedding favors for those of you shopping on a budget. Embellished with the American Flag colors and design, these stress balls are a must-have for your patriotic themed wedding. The reverse side of these squishy wedding favors provide you with a large imprint area, too! Your guests will love having something to hold on to during teary moments of joy and laughter while they celebrate your occasion. 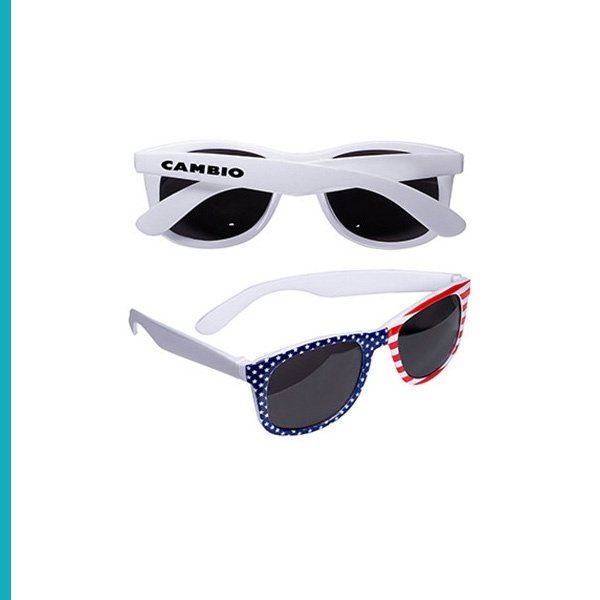 Patriotic Sunglasses help bring your wedding theme to life, especially if you are holding the celebration outside. A customized pair of sunglasses are a great way to memorialize the occasion, because they can be customized with the message of your choice. Outfit your guests in these fun party favors that they can take home and use beyond the event. You can even use these sunglasses as a way to decorate party tables. Our Pen Screen Cleaners are the perfect accessory to have on hand for a patriotic wedding. 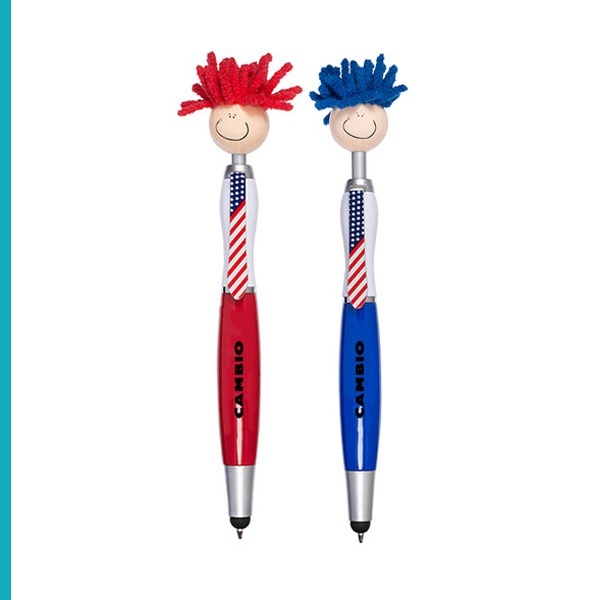 You can provide these America-themed pens for your guests when it is time to sign your guestbook! Let them leave a loving message in ink from these dually-purposed pens. You can display them in a clear, round bowl for everyone to take from as they sign your guest book! Memorialize the wedding on these pens with a custom design or message, complemented by the red, white and blue! It goes without saying that your wedding will be filled with incredibly beautiful moments. Moments between family members, friends, and acquaintances. You can make it easy to store these precious memories with a frame or keychain. Believe it or not, it’s easy to keep big moments on anyone’s mind with such a small item that’s inexpensive and easy to transport. If you are looking for a very customized party favor experience for your guests, wait for your photographs to develop and send the party favors after the wedding. Select a picture of them and a friend or family member, and stick it inside one of our customizable accessories. Also, for the wedding couple who ventures towards having an on-site photographer and print process, any of our picture keychains, magnets or frames are the perfect party favor for creating a memorable keepsake. Snap-In Photo Keychains come in a variety of colors and make adorable pocket-sized party favors. Keychains are always a great go-to for wedding favors, as they have a variety of uses for different kinds of keys! You can snap in your favorite photograph from your wedding, or load them prior to the event with a photograph of the bride and groom. 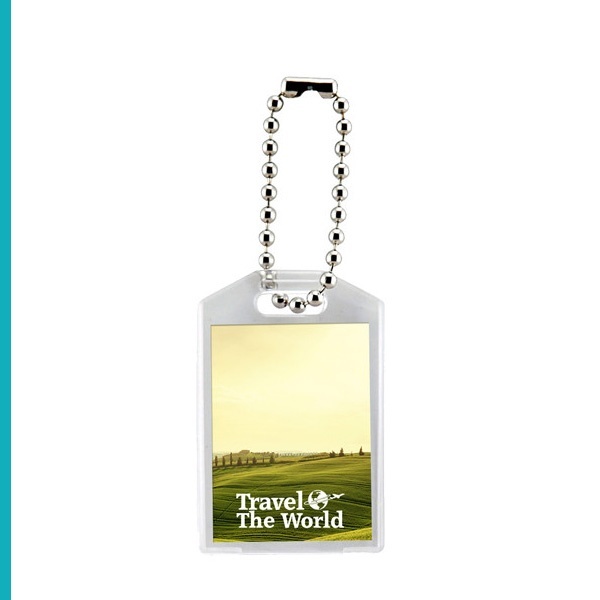 Easy to transport and pocket-sized for convenience, photographic keychains are one of the easiest ways to save a beautiful memory. Photo Slip-In Keytags are a sweet way to lock in your matrimonial memories. 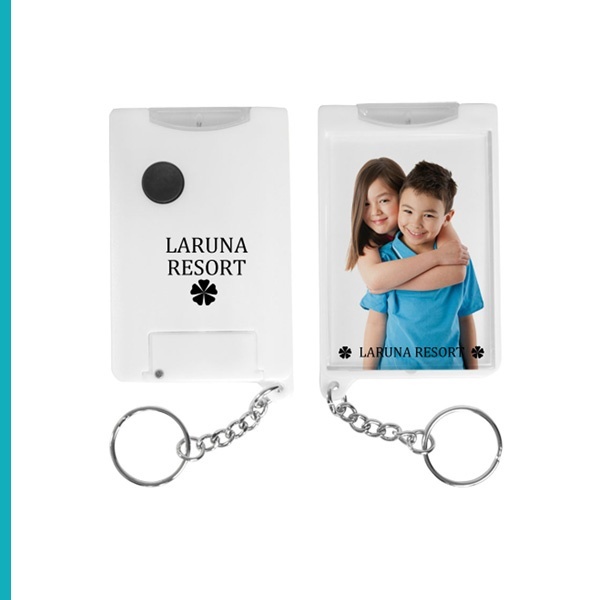 Not only do you have the ability to put a special message on the key chain, but your guests will also be able to put in their own photographs inside them from the wedding. 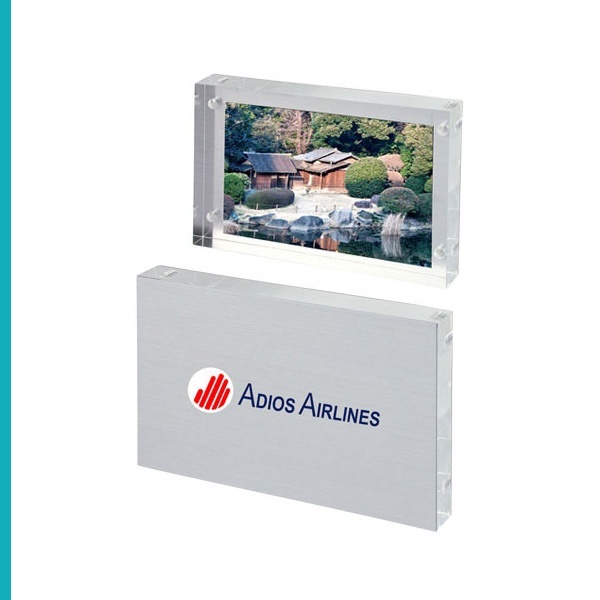 The Frameless Photo Frame is a simple yet effective way to display your favorite moments from your wedding. Without the distraction of a border, these customizable wedding gifts can be inserted with your favorite photograph of you and your Uncle Jack or your best friend Susan. Either way, thank the guests for witnessing your vows with picture-perfect accessory that looks great on desks, shelves, and tabletops. If you’re interested in a party favor that does more than just thanking your guests for coming, consider an item that can be used while they celebrate your wedding day. Koozies, champagne glasses and even socks are thoughtful accessories that will make your celebration just a little bit brighter for everyone who attends. With any of these useful items, you have the ability to spoil your guests during and after the event! These kinds of wedding favors also double as center pieces for your tables, placed with each individual dining set provided for your guests. With the customization options that allow you to print a graphic or special message, your wedding day can be commemorated for years to come. Think of how much better your wedding photographs will turn out when you have pictures of your guests using them! Wedding celebrations call for celebratory beverages, and we’re pretty sure your event will provide your guests with something to sip on! Whether that’s a crisp soda or cold beer, customized can coolers bring purpose and meaning to your wedding celebration, plus, they’re a widely used household item. Can coolers are a notoriously great wedding favor because they keep your guests hands dry from any condensation, and can be customized with a picture of the bride and groom. 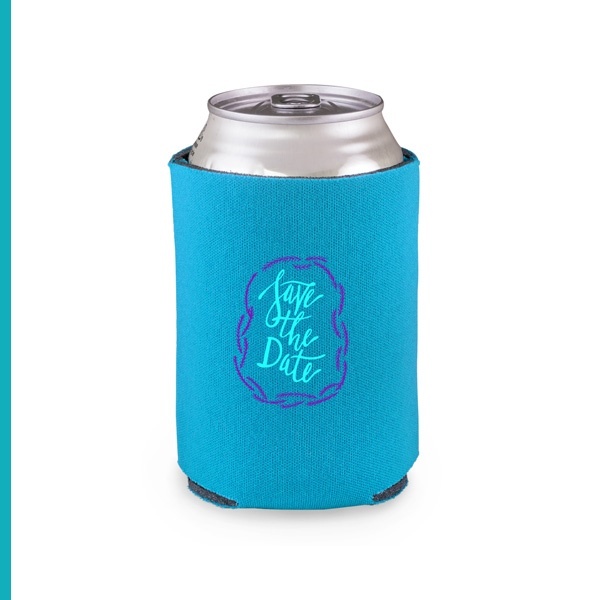 Make your can coolers that much more meaningful by personalizing them with the wedding date! can coolers are the perfect wedding favor to benefit your guests as they celebrate the happy couple, and are easy, take-home gifts on the way home. Perhaps one of the best moments of a wedding occurs when you share a toast to the happy couple. Imagine how nice it would be to share stories and touching messages about the bride and groom, with each friend or family member holding up customized champagne glass? 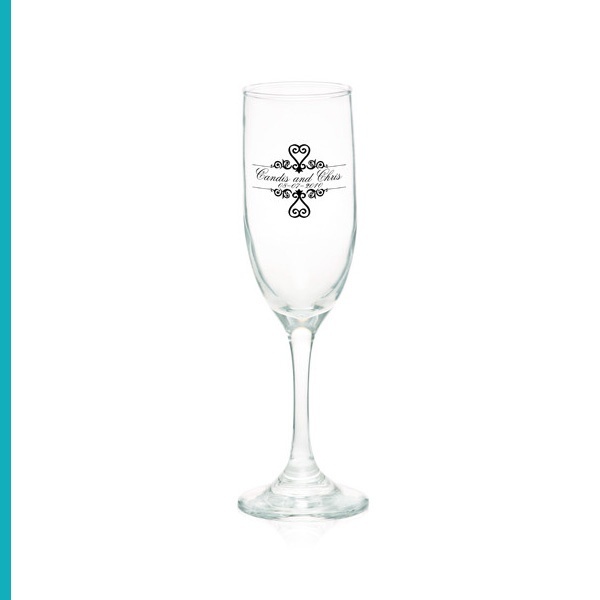 Personalized champagne glasses can be monogrammed or printed with a message. You can even play around with the display of these table-top accessories by placing confetti or candy inside of them. Embellished with letters or a phrase that immortalizes your wedding, these champagne glasses keep the memories rolling in the hands of your guests long after the occasion. There’s no question that your guests will be moving to the beat on the dance floor! Don’t let anyone’s uncomfortable shoes get in the way of the groove, and provide your friends and family with customized socks as a wedding favor! Socks are the easiest way to relieve tired feet from hours of dancing, especially for men and women who wear dress shoes to your occasion. 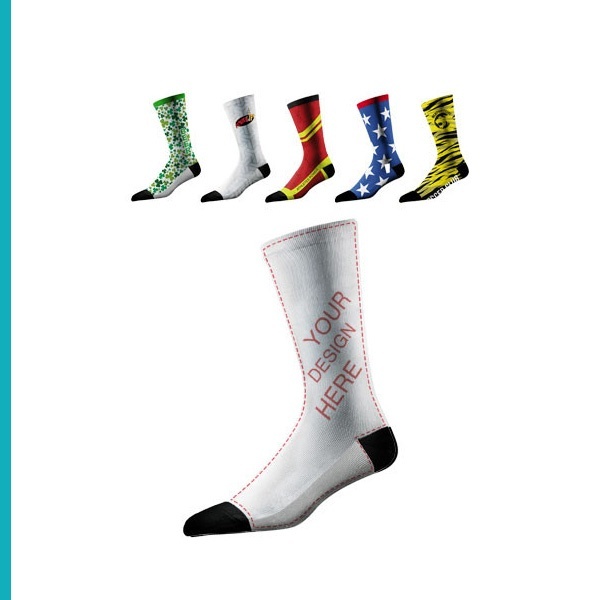 These socks come in a variety of fun colors, but when you shop with us, you have the ability to print a special message dedicated to the bride and groom on them. You can customize a set for the men in one color, and another set in a different color! The choice is completely up to you. Either way, these socks will keep your guest’s feet comfortable on the dancefloor and cozy at home, honoring the big day with your personalized design. Your wedding favors have the potential to be something much more than a bag of sweets. It’s your special day, which means that your wedding party favors can provide a lasting use for your guests for years beyond the event. The options are truly endless when it comes to shopping our wedding favors that anyone would be happy to use on a daily basis! You can choose from kitchen tools, flash drives, apparel, backpacks and much more! We have the most popular wedding favors that bring lasting joy to your friends and family who join you on your special day. Whether you select a pocket-sized accessory or t-shirt, you can shop with confidence that your wedding favors will be a hit. Present your guests with a wedding favor they can use in their kitchen for parties, gatherings, or just for a quiet night at home. Our customized bottle openers make enchanting wedding favors, and come in several different colors you can match to the theme of your party. 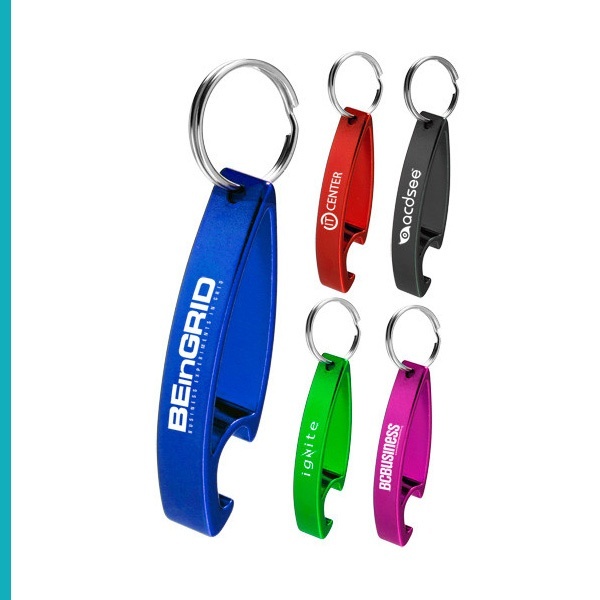 Bottle openers are a widely used household item, and ours come in a variety of styles and sizes that meet all of your wedding party favor needs. You can customize each one to have the names of the bride and groom, plus the date of the wedding. A bottle opener can be used on a daily basis, which means it has a longer shelf life than candy! The odds are, anyone who attends your party will be taking picture after picture with their smart phone! With so many memories to cherish, they need a way to store the extra data so that their phones don’t lose storage due to the influx of new photographs. 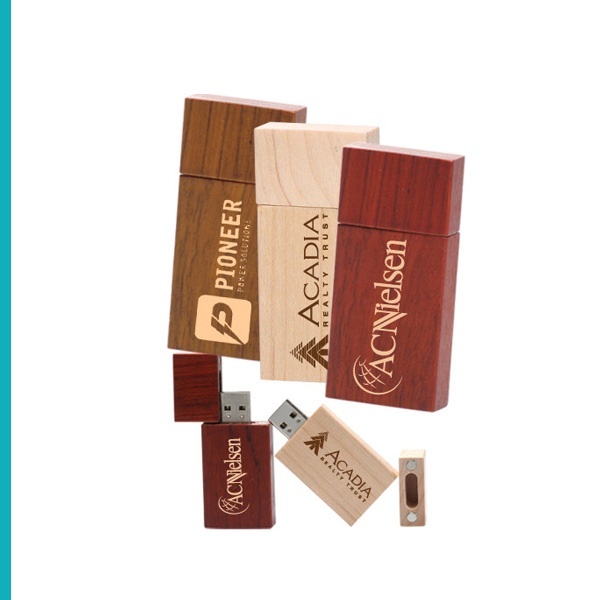 Our customized USB Flash Drives will help them store the new memories from your wedding! They come in a wide variety of beautiful colors and styles, and all of them can be customized with the name of the bride and groom, plus the wedding date! Your guests will love to have something they can store documents, photos, and other data on while they’re in the office or at home. At the same time, the personalization will keep your special wedding day on their minds and in their hearts. 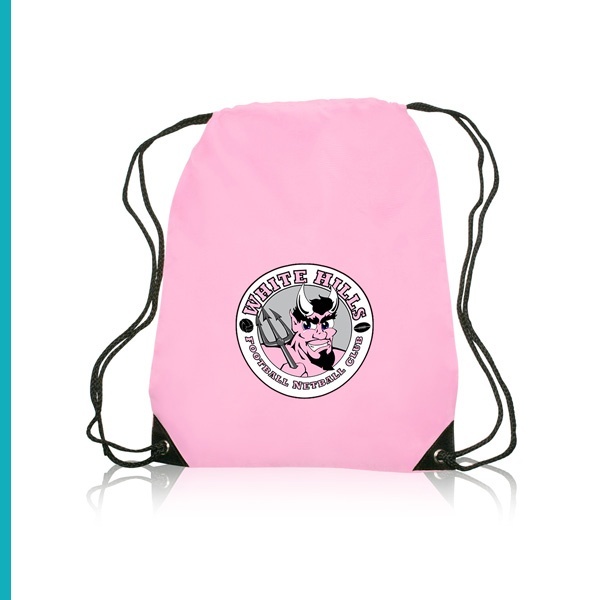 Not only will they provide you with an awesome table decoration, but our customized backpacks hold everything from wallets, smart phones, and phone chargers to sweaters, hair brushes and water bottles. Each customizable bag we offer can be printed with the name of your bride and groom, and you can even take a step further and use their picture instead! Fill these backpacks up with other goodies like candy or toiletries, especially if you have guests from out of town. Hang them on the backs of your dining table chairs for your guests to pick up and take home at the end of the evening. Our bags are crafted of durable materials, which means they will last your guests a lifetime of use while being reminded of your matrimony. At Discount Mugs, we make it incredibly easy to work with your spending goals and customize your favors to add a special touch. The process is as simple as selecting your item and uploading your message or graphic. You can even shop by price with our daily discounts and clearance pages, or sort any product category by cost. Selecting the perfect wedding favor is a breeze with us!